CFD method is used to analyze and solves the problem related to Fluid Flows, computers are required to formulate the mathematical expression of interaction between liquid and gas with defined boundaries. It has wide applications in industries like automotive, part of Defense, Electrical and physical science, and Energy. Within the part of Defense business, CFD is employed to style fuel systems, engine core compartments, cockpit and cabin ventilation, missiles, and submarines, and additionally in Aeromechanics style. CFD gives realistic and predictive insight in to Flow patterns & Thermal contours that are intended to solve complex engineering problems. 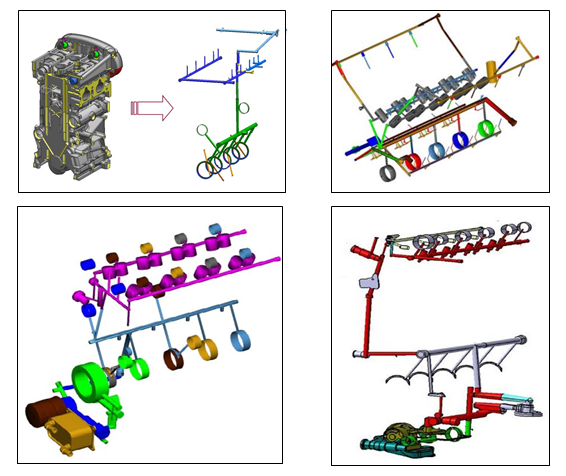 Equipped with multi-domain knowledge and deep technical expertise, DEP offers global strategic engineering and environmental consultancy that specializes in performing 1d Multi-Physics CAE simulations. 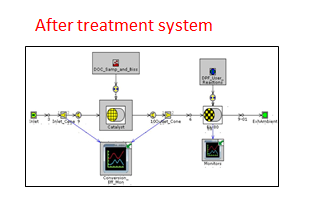 The simulation focusses on performance optimization of PCV system by accurately matching the ventilation flow with blow by production characteristics while engine performance and drivability remain unaffected. The simulation mainly focusses on calibration the engine and after-treatment system for optimum fuel economy, performance and emissions. DEP offers continuous support in providing the value added solutions in the field of tribology as well. 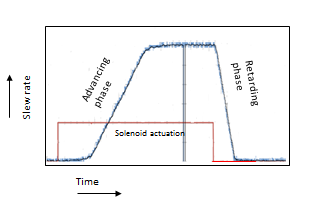 Steady state model development with subassembly model integration (Crank train & valve train) is developed by our team to actually predict the bearing loads. 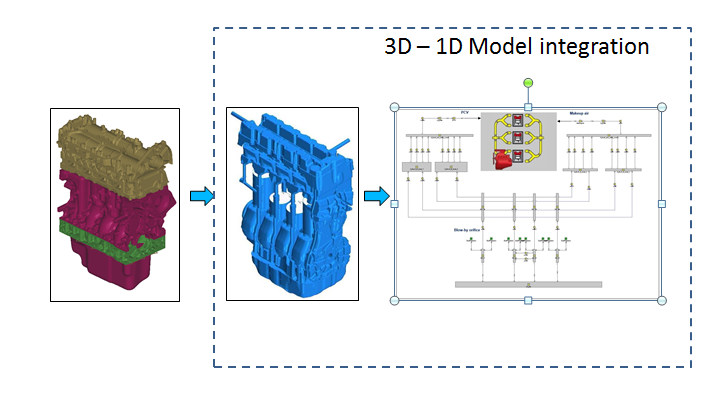 With the flexibility over model based system simulation, DEP is consistent with the goal to provide the valuable solution for all the aspects of engine & vehicle systems. 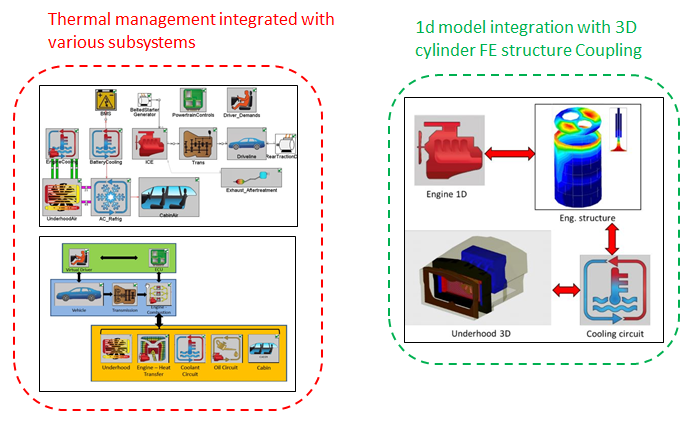 Detailed modeling & building the vehicle thermal management system with the integration of built-in Finite Element cylinder structure has been carried out by our team for the actual prediction of heat flow and heat loss throughout the system. 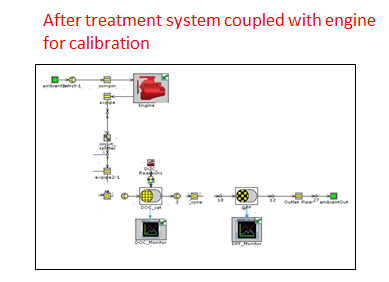 The simulation aims on metering of flow rate, rate of phasing and leakages inside the cam phaser assembly.